Following recent updates to the X-Pro1 and X-E1, Fujifilm has released a major upgrade to the X100, the original (now-discontinued) X-series model, which was announced back in 2010. Since its release, the X100 has benefitted from a series of major firmware improvements, and the latest - likely to be the last - offers faster startup time, and improvements to automatic and manual focus. Firmware v2.0 is available for download today. The X100 has benefited from a string of firmware updates, which greatly improved the product over its lifespan. Firmware v2.0 is notable for being released after the camera has been discontinued. This update is significant in two ways. Firstly, X100 owners are going to love it, since it promises to significantly boost the performance of their camera for no cost. It doesn't turn the X100 into an X100S, but we suspect that for a lot of owners of the original model, increased AF speed and a decent manual focus aid will keep them very happy, and will extend their relationships with the X100 for some time to come. And this leads us to the second respect in which Fujifilm's announcement is significant. We're pretty sure that no one has ever done this before. We've seen major updates to relatively old products before (Canon's venerable EOS 7D was given a serious shot in the arm last year) but never to a camera that has been superceded and discontinued. Updates to 'end-of-life' products are generally released to ensure compatibility with newer dependent accessories or software. 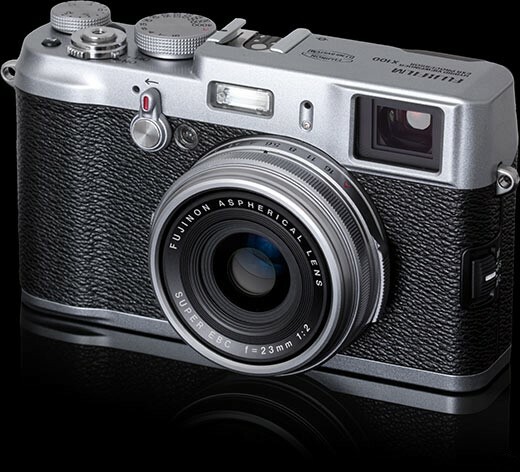 It's worth noting that reenergizing the X100 in this way won't in itself make Fujifilm any money. In fact, if it prevents some X100 users from upgrading to the X100S, the company might even lose out in the short term, without even taking the cost of research and development into account. This looks very much like a gesture of goodwill. Plus, knowing Fujifilm's engineers as we do, we suspect that there's a degree of simple, gleeful enthusiasm here - they figured out how to do something, got excited, and went ahead and did it. Not every manufacturer would take this kind of a risk. But if there's one thing that we've learned, it's that while gestures like this might have a short-term cost, keeping your customers happy always pays off in the end. Mississauga ON, October 18, 2013 – FUJIFILM Canada today announced a new firmware v2.0 update that dramatically improves the performance of the original FUJIFILM X100, the first model in the premium X-Series line of digital cameras. 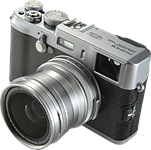 Since its release in March 2011, Fujifilm has received meaningful feedback from X100 photographers throughout the world and this firmware upgrade reflects many of their requests. This new firmware update delivers improved autofocus and manual focus, as well as other convenient features for users who apply the update. “Photographers around the world have trusted their images to Fujifilm and the X-Series, and this new firmware update is concrete evidence that we are not only listening to our customers, but also working hard to improve our products on a continuing basis,” says Greg Poole, Vice President, Imaging and Recording Media Products, Fujifilm Canada. The X100 firmware v2.0 update will be available on October 18, 2013. Came across this firmware by chance. What a change this makes to manual focussing. Brilliant, and thanks for looking after your existing customers. All of a sudden my two year old camera has turned into a brand new camera. It's the FW updates that made me buy a new X100. Not only users will be happy but resellers as well. If a Fuji is discontinued it still is going strong. 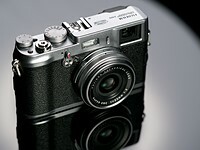 New firmware update from Fuji for X100, it fixes the manual focus problem, well done again Fuji! I missed the last few firmware upgrades. Would I be able to upgrade directly to v2.0, or do I need to install each intervening version? you can now upgrade to version 2.01 directly, you should see big improvements! I'm glad to see X100 owners enjoying their cameras again. I guess actions like this help potential customers get a good feeling about a Company willing to invest time and money in a product they have already made a profit on. I do remember the "Orb" debacle, with X10, and thought I would never own a Fujifilm product. Well how times change, I purchased a X100s just last week, and based partially on this simple FW update for the X100 customers. truly a unique approach, can't wait to have some fun. I actually bought a new one from the last stock of Wex for £549. Honestly, I never intended to buy this camera, neither the x100s (especially when the latter costs 1k at the moment), but after reading such positive outcomes from the last firmware update I decided to give it a try and all I can say, I'm really impressed with this little camera and the quality of pictures, I love how it handles the WB and noise, and the rendering is great. I do prefer the AF system of my D7000, but really this little x100 does let you enjoy the process of taking the picture without thinking/concerning of a result. Probably one of my best photo gear investments. I have a question, I tried to look at the internal memory, it is always full without any images, but when I tried to format, it won't let me saying "Cannot Execute", anyone has experienced this? If you shoot RAW it's normal as I think the size of the RAW file is greater than the internal memory, so it won't hold a picture. On the other hand, you have Sony who won't put out a 1670z lens correction update for their nex 5n. But then they always have been of the mindset that if you don't like what it does out of the box, don't buy it. I have updated my black X100 and have tested it with X-100s side-by-side for AF focus, after the update, X-100 AF speed is very close to X-100s and sometimes in low light condition, X-100 focuses faster than X-100s. The overall operating speed (writing RAW, turn on waiting time) is not as fast as the X-100s but I am very happy with it, well done Fuji! I really liked the X100 in firmware 1.30 but now with 2.0 it really is like getting a new camera. Or at least and updated model. Noticably faster AF, huge improvement to MF and focus peaking! Some companies release new camera bodies for that kind of improvement. Well done Fuji! You mean like Nikon's D600 to D610? I have to say my X100 has never been "Dead". I have used it extensively for the last two and a half years. The camera really came alive though a couple of firmwares ago when the af improved and the RAW button became assignable. I have no plans on buying anything else. There is nothing really like it. Not the Sony RX1, Nikon Coolpix A etc nor the rest of the X series. +1 for another owner that is thankful and will be looking to Fuji for my next upgrade. I am a X100 owner and really liked the camera to begin with but now am delighted. I've never bought a used digital camera but used to almost only buy used film cameras. I'd say go for the X100. The new firmware works great, the IQ is outstanding and they can be had for $500, at least that was the price before the FW 2.0 came out. To me $500 for a camera that good is a steal. Can anyone comment on the autofocus speed between the x100s and the x100 with the new firmware? I was planning on buying the x100s but maybe I am better off with a used x100 instead? It's marginally better, making it very adequate for most uses. Not fast enough for shooting a soccer game, but you're not buying this camera for shooting sports. Well Nikon Rumours now say it will be a with a pentaprism, so still a DSLR of sorts. I wonder about the motive of Fuji with all this. Perhaps shoring up the confidence of users to lead up to an all new Xpro 1 replacement coming soon. With a lot of new high end cameras coming out, Fuji will be left behind if they don't act. The x100 firmware update has been welcome for me. Like having a new camera. Specs look good. Weight is surprisingly heavy @ 1-2/3 lbs. Problem is Nikkor full frame lenses are so big and heavy, this won't be a small rig. Still, gotta love this competitive market driving a flurry of innovations from multiple manufacturers. Can only get better. Hmm. Sure the manual focusing is much better but I never use that and it focuses slightly closer and af is probably faster. New camera..hardly. All makes sense now. What with the massive Niikon announcement just leaked. I don't even own a Fuji camera but I am excited to read this news. I do need to get out more, perhaps. This is such a nice gesture and I wish other manufacturers would take note. Well done Fuji for looking after your users. I am sure you will be rewarded with loyalty. I don't even own one of your (recent) cameras, but I like what you are doing. What are the chances of getting a update for the E-M5 firmware to add the same software routines that already exist on the E-P5 (with same processor) for focus peaking and extended 100 ISO? I would like to like to be proved wrong, but I don't see other manufacturers supporting their users this way. I like the way Fuji is different. It is strangely refreshing. Just updated to 2.0 While the news release claims AF speed has improved by 20%, it actually feels faster than that to me. Thanks Fuji for the respect you've shown to your customers, and the dedication to your legacy products! Awesome update! AF feels faster and importantly more precise under dim light! MF is greatly improved too. Overall the camera feels noticeably more responsive and fun to use. Thanks Fuji! Amazing!! a modern manufacturer OF ANYTHING does something for good old fashioned good will toward their customers and pride in their name. Absolutely refreshing and absolutely fantastic. Thanks Fuji... the faster manual focusing is really appreciated! Really makes a great camera that much better! Gonna take my little black beauty out for a stroll in the fall colors! After playing with the new firmware for one day, I will be selling my Nikon D7000 and have just ordered the Fuji WCL-X100 wide angle adapter. Backporting some code into a slightly old branch and then testing the changes is usually NOT a terribly expensive thing to do (unless a major rewrite of software/firmware was done for no reason), and the fact the companies don't do this more often just shows that they are managed by bean-counters without understanding of the wider business picture. Kudos to Fuji for releasing and properly updating great cameras with proper controls. Good, it only took Fuji 2 years to fix the camera. Olympus, who gets knocked for not releasing firmware updates, gets it right the first time. No updates needed. Actually, I wouldn't mind if some of the changes in E-P5/E-PM1 were backported to E-M5, specifically, IBIS auto panning detection and faster tracking (E-P5 has the same sensor and processor as E-M5 but rated to 5 fps with tracking vs 4). SCN and ART mode reassignment to user modes also would not hurt. Wait, the X100 was never 'broken'. Despite all the very negative internet buzz about the X100 being crap, not working, flawed etc, I can say that it never felt this way to me. I use it extensively and even with the older firmwares it worked VERY well for me. Now it's become even more desirable and will stay my main camera for a long time to come. I have resisted upgrading to the X100S because I actually love the CMOS warm "look" better than the X-trans. For me, this unexpected boon of a firmware upgrade gave me a wonderful boost! After upgrading to v2.00 I can press the AF button and see the AF grid in the OVF and easily move focus point even when I take my finger off the AF button. This is almost as good as having the X100S "Q" menu! I rarely use MF so focus peaking did not make that much of a difference but I appreciate the effort as well as the shorter start-up time and 30% closer distance prior to auto switching to macro mode. Thank you Fuji Engineers! I love my upgraded X100! Very cool. My only disappointment is the most negative flash comp you can dial in is still -2/3 stop. I'd love to see options for at least -2 or -3 stops. Thank you Fuji! Installed last night and took the camera out with me today. Me like! This is so nice! Fuji is setting the bar too high in all respects, beautiful cameras with superb image quality and great software support. You got to love it! "great software support" - it would be great software support if they didn't have to patch a single camera for 3 years before getting it right. I'm most curious if they finally sorted out AF with this patch, or will we see v.3.0 next year? I'd like to see what it actually does, but it's a good move by Fuji: might not result in sales but goodwill can indeed be very valuable. Im very happy about this update, though the camera should be like this from the very beginning. It, witch my help made so many bad pictures that it should have been sold already... Now it is like a new camera witch body I've loved, and will stay witch me. Annyway, thanks Fuji for this update!!!! Thanks, Fuji, you are the best! This update cost me around $600. My X100 went from the "sell and buy the XF14" shelf to the "keep and buy the XF14" drawer. Nice update Fuji. Thanks. How about us lowly X10 users? I defended the X10 through forums and Amazon reviews, dismissing the significa of the orbs for all the performance positives.. Mine is half dead in some respects, but I still cling to it. Fuji. Who knew that the ackward girl in class would be the one to turn your head in the end. I heard about this firmware update about 3 - 4 month ago (& it wasn't new news then !). Apparently Fuji have been sitting on this firmware update for some time - but they did not want it's release to affect X100S sales. Does that mean the release of the XE2 signals the X100S has effectively been superceded & we are not getting a replacement X100S mkII ? Bravo Fuji, I hope that Olympus are watching closely, the good will this generates will result in hard sales across the board for their brand. Will update my X100 later today, it's a gem if you can find one for sale. As an early owner of the X10 I feel left out when reading this, especially when I see all the out of focus pics from my recent trip to Greece. When is Fujifilm going to give us the benefit of their AF improvements for their other models?!! I sympathise! My X10 produces a surprisingly large number of out-of-focus shots - seems to be a completely random phenomenon, as far as I can see. Almost as if the issue varies or does not exist person to person? That's customer service!!! and that's why I am considering to switch (100%) to Fuji. Waiting for the organic sensor next year! Keep it up Fuji, u r the best!! The only one who really care for your customers and u r producing excellent cameras with excellent picture quality which is close to film camera quality. (grain, colours). 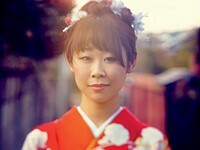 I am a Sony a77 and Fuji x20 user. X100 makes my wife look 10 years younger, whereas X100S and X-trans make her look 1 years older. The dark areas of the X-trans are so dark, wrinkles are accentuated. Good, I'm gonna get two X100's and take some self portraits then. wish I'd not already sold my X100!! Excuuuzzz me!!! I never considered my x100 dead! Apple updates the firmware on my obsolete iPhone 5 and iPhone 4S all the time. Unfortunately they make them worse each time, but it's the thought that counts. Isn't it? I agree this is really good to see. I've always been a little disappointed that my faithful 5D Mk I, which I'm still using, didn't get its firmware upgraded a bit more than it did, even when it was still a current model. Just little things like the ability to automatically create a new folder on the CF card for each day would be nice - that's almost universal now. Alas, the only hope now for upgrades to this camera is Magic Lantern. Thanks Fuji, as a former X100 owner, and now X100s owner, I appreciate the dedication you have for your customers, hope this will continue for future camera generations. As a fellow Nikon owner, it's clear that Nikon doesn't have the same commitment to excellence as Fuji. Well, that's mostly because both: Fuji and Ricoh got very long history of releasing buggy firmware. Sony might perhaps be missing some features from it's firmware, but you get what you paid for - no bugs included. Just downloaded the upgrade. I am delighted. I bought the X100 to use in addition to my Nikons for wedding and candid work as well as an easy grab and go piece. I have learned to live with and work around its foibles. I never took the camera too seriously but despite that it keeps rewarding me with great images. This upgrade comes as a total surprise and thoroughly refreshes this camera making it just that much more easy to use. Its almost like a model newer. Fuji has earned a big chunk of loyalty from me and I will be looking at their upcoming products carefully. Nikon should take notice. Just Posted: Sample images using the Fujifilm X100 with the WCL-X100 wide-angle conversion lens. We attached the converter to a Fuji X100 and used it to take pictures around Seattle for a real world samples gallery that showcases how the camera performs with the adapter. As always original, out-of-camera, JPEGs can be downloaded for closer examination.